As the population continues to grow in Metro Vancouver, so does congestion and the demand for transit service. This is especially true in the South of Fraser. In Surrey and some parts of Langley, the local road network we see today is pretty much built out. This means that we need to give people a way out of congestion. Improving walking, cycling, and transit is really the only way to keep our cities moving. One of the challenges with bus service is that most all bus routes in our region share the same lanes as single occupancy vehicles. This means that as congestion increases, transit service slows down. For example, on the 502, it takes up to 45 minutes to get from Surrey Central SkyTrain to Downtown Langley when there is no congestion. During peak travel, it takes an hour. This will only get worse as time goes on. SkyTrain is the most expensive and top-of-the line way of doing this, but there are other ways of doing this too. 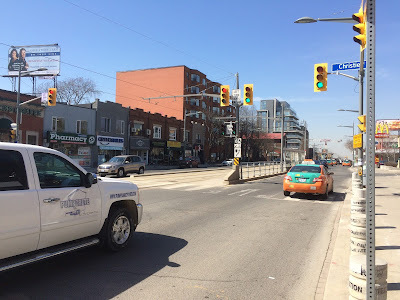 I’m in Toronto this week, and I decided to visit St. Clair Avenue. 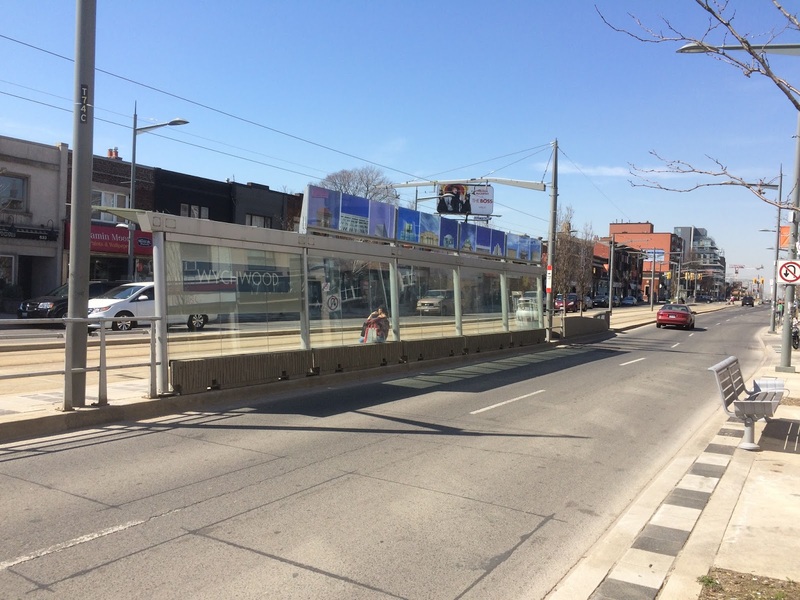 St. Clair Avenue has one of the busiest streetcar routes in that city running along it. Congestion on that street dramatically slowed down transit service. 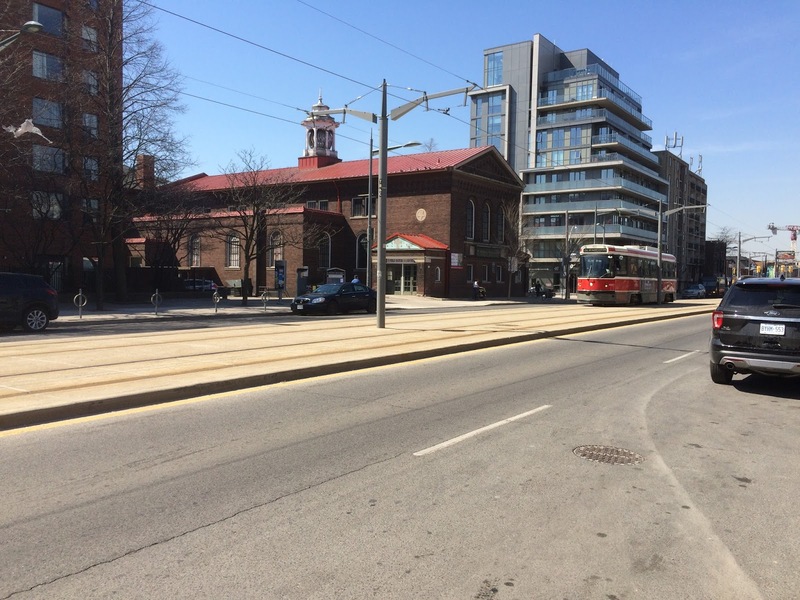 The streetcar tracks also needed to be replace, so in 2003 Toronto decided to build a protect right-of-way for streetcars on that street. The project wasn’t without its controversy, but the 6.8km right-of-way cost $106 million (or $15.5 million per kilometre) to build. This is significantly less money per kilometre than SkyTrain or the currently proposed form of light rail for Fraser Highway and King George/104th. The streetcars service is fast on St. Clair Avenue unlike other streetcar routes in Toronto which get stuck in stop and go traffic. The follow pictures show what St. Clair Avenue looks like today. Transit signal at an intersection on St. Clair Avenue. Streetcar running in protected right-of-way. Getting transit out of traffic is the best way to improve transit service along congested corridors. While I certainly support the Mayors’ Regional Transportation Investments Plan, funding is a major roadblock. Rail rapid transit along corridors such as Fraser Highway is more than a decade away if funding can be secured. 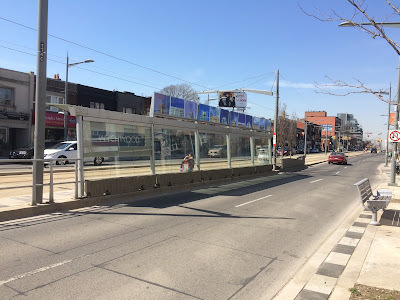 In the meantime, we should look at other ways of make our transit system more efficient, including building protect transit lane where they are need.